Yeah Buddy! Cartoon Planet is On TV Again! I was a huge fan of Cartoon Planet on TBS, where the Williams St. (Ghost Planet at the time) guys made some funny shorts using Space Ghost and his enemies, and played clips from Hanna-Barbera cartoons and shorts that were featured on the What-a-Cartoon show, where things like The Power Puff Girls, Dexter’s Lab, Johnny Bravo and 2 Stupid Dogs got their break. Family Guy did too, kinda. Sorry for channeling my “Inner Rose” and linking to a million things in that last paragraph. If you don’t know who Rose is or what that means, don’t worry, you’re not missing anything worthwhile. I always appreciated the attempts at revitalizing old cartoons and introducing new ones, and last Friday I stumbled across Cartoon Network while Cartoon Planet was on! My sister and I happened to catch two shorts with Brak and Zorak, and clips from Ed Edd n Eddy, and My Gym Partner’s a Monkey. We were quite entertained by the Ed clip, and appreciated some of the ‘adult’ jokes that were in there. The clip from the monkey show was horrendous, and I was quickly reminded why I never gave it the time of day while It was on and debuting new episodes. The point is, Cartoon Planet is back, and I love that it’s showing shorts from a variety of cartoons again, but the newly written and animated segments with Brak and Zorak were the true standouts of the half hour we watched. 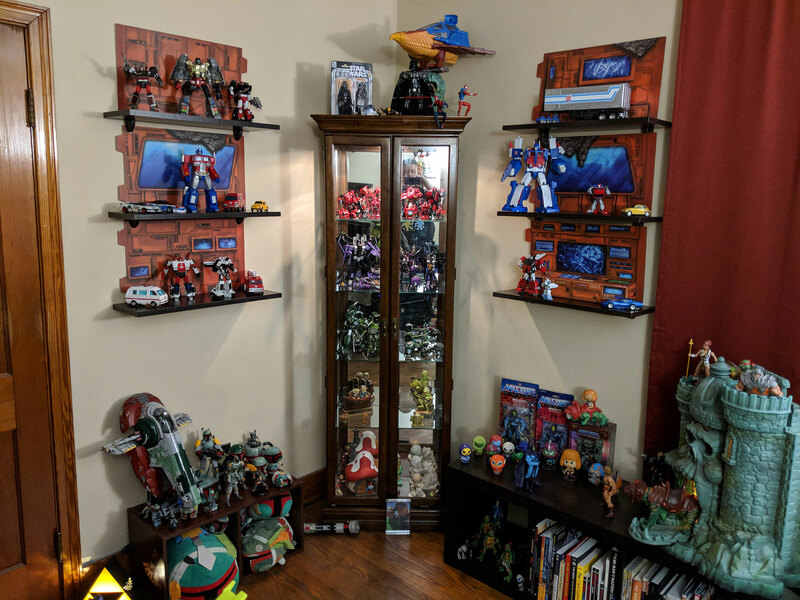 I mean, just look at this picture I took of Brak’s desk. Let’s see, we’ve got weiners in a mug, mustard on the desk for convenient dipping, the solar system with mustaches, a motivational poster which reads “Friendship; Yeah Buddy”, army men, a cowboy rubber duck and general cat with massive bling, “Dear Brak” letters and a shout out to Steve Delmonico (who is not the Asian guy from Star Trek). So many references to classic Brak skits from over the years, and enough new randomness to be even more awesome. I absolutely love every square centimeter of this frame, and this picture doesn’t even do justice to the segment. 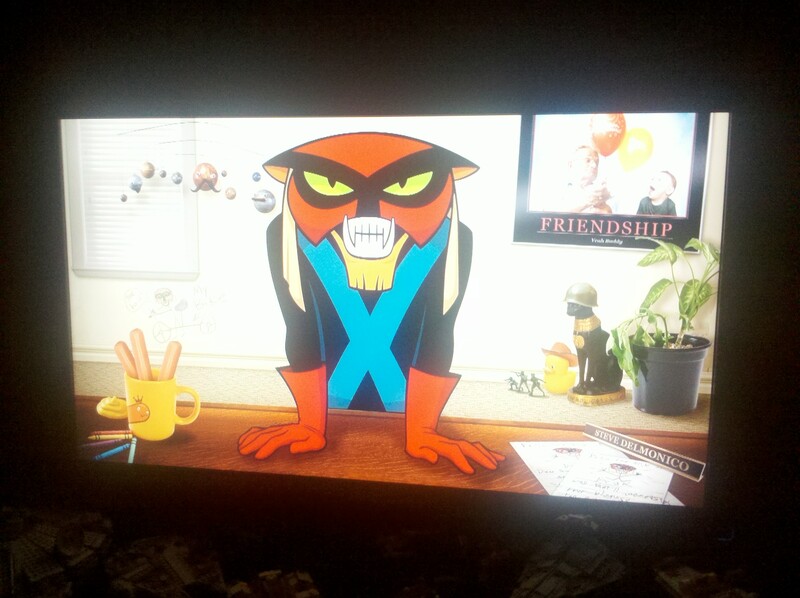 Besides, it’s Brak in glorious HD! What’s not to love? I’ve set my DVR to record Cartoon Planet (Cartoon Network, Fridays at 8 Eastern), and I fully suggest that you do as well. Posted on June 12, 2012 June 11, 2012 Categories Everything ElseTags brak, cartoons, yeah buddyLeave a comment on Yeah Buddy! Cartoon Planet is On TV Again!